Your 14k Solid Gold Name Necklace will last a lifetime. 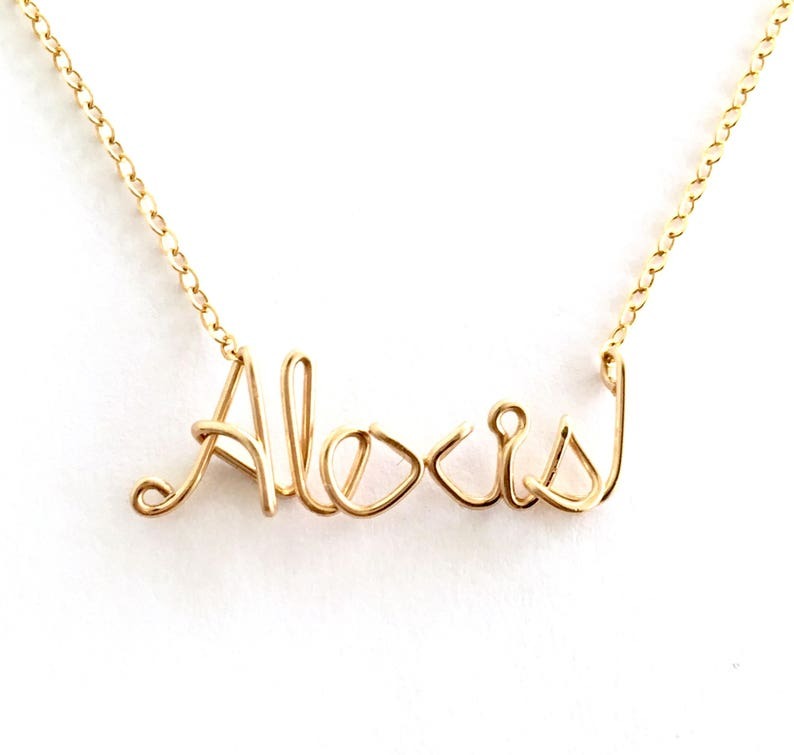 Made from 14 karat solid gold wire and chain, this name or word necklace of your choice is completely customizable up to ten letters long. Choose the length of your necklace at checkout which includes the length of the word and the chain. The length of the necklace on the model is 17 inches as an example. If you wish to add additional letters besides the standard ten letters, please convo me for a price quote: https://www.etsy.com/conversations/new?with_id=7293349. Your necklace will arrive beautifully gift wrapped in a gift box. Your solid gold name necklace will last a lifetime when cared for and stored properly. Care Instructions are included. Please note with rising gold rates, the price of this necklace may change periodically. A beautiful piece! One that I will treasure for years to come! Thank you Aziza, for your patience, constant communication and work of art! I order this for my nieces 20th bday, she loves it to pieces! I love it too!! Thank you so much!! Customer service was amazing, quick replies and quick shipment!! Will be order a few other things shortly! Thank you so much! This is the prettiest necklace and is crafted absolutely perfectly.